Must Read – Five New Tenants at SOCO and The OC Mix! Happy Thursday! We’re excited to share with you five new tenants now open and opening soon at SOCO and The OC Mix. Be sure to check out our event calendar for grand opening events, in-store promos, and much more. We look forward to you visiting these new stores and giving them a warm welcome to SOCO and The OC Mix – and our valued community and neighbors! Visit Eggslice every Monday, Tuesday and Wednesday from 7AM-10:30AM inside Shuck Oyster Bar to enjoy perfectly crafted breakfast sandwiches that were born at local Farmers Markets in Sydney, Australia more than 18 years ago. 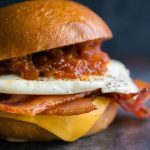 These delectable breakfast sandwiches feature unique locally madeChili Jam, combined with fresh, local ingredients. You’ll get your sandwich piping hot, stacked with flavor and served with a reverence towards sustainable, local ingredients in a timely manner. Visit http://www.eggslice.com/ for more info and menu options. 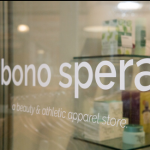 Bono Spera, meaning ‘Good Hope’ in Latin, is a new women’s athletic apparel and beauty store now open inside The OC Mix at SOCO. Bono Spera’s goal is to help women in their pursuit of a healthier version of themselves without compromising style. In addition to offering trendy athleisure wear, Bona Spera specializes in all natural, eco-friendly Korean skincare products as well as Korean cosmetics and body care that no one should go without in their daily regimen. Natuzzi Italia is Italy’s largest furniture house and one of the most recognized in the furniture industry. As the best-known luxury brand in the furnishings sector worldwide, Natuzzi Italia is committed to social responsibility and environmental sustainability. The SOCO location will showcase the new store design, merchandising concept and overall Natuzzi Italia consumer experience. Opening this winter at SOCO. 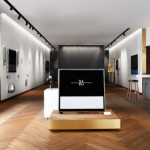 For more than 90 years, Bang & Olufsen has been an iconic brand, known for its highly distinctive and exclusive range of televisions, music systems, loudspeakers, and multimedia products, which combine technological excellence and emotional appeal. The company – opening this Fall at SOCO – will offer a proud legacy of excellence in both design and engineering as a statement of timeless quality, ensuring that each new generation is as compatible with the past as it is with the future. Founded by four-time Academy Award recipient, animation director, creator and creative genius Chuck Jones, and his daughter, Linda Jones Clough, Chuck Jones Gallery is best-known as “the” gallery for the art of American Pop Culture. This second, smaller location in The OC Mix (now open) will focus on finding the art people love to collect and helping them place it in their homes and offices. 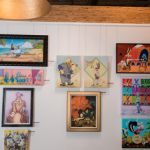 In addition to its fine arts collections, the gallery will carry Looney Tunes-inspired gifts and offer archival framing for your own treasured works of art.